You are probably wondering about our webcomic book. Sorry about that, it came out of the blue, didn’t it? And we didn’t think it through because we didn’t think it was a big deal. As you know, we are interfilk guests at this years OVFF. 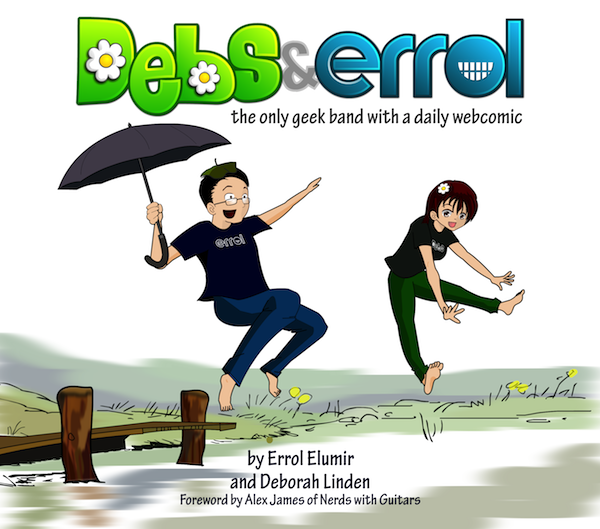 We thought it would be cool to offer them a print copy of our webcomics as an auction item. In fact, we wanted to give them a unique, hard cover, filkified version of our webcomic. Our webcomic is a collection of the first 300 webcomics. It is 108 pages, it is in colour, and it is a paperback. None of the guest comics are included. None of the blurbs nor mouseovers are included because that would have increased the production time by 10. We have put a few comments in though! It will be available at OVFF and you can purchase it there. OVFF is the October 24 weekend. What if I’m not going to OVFF? Yes, ok. I’m kinda sheepish here. We made no formal plans to sell this thing. It was like, “Hey, if you see us at a show, buy it!” In fact, we don’t know how many we’ll have after OVFF. We may have all of them. We may have none of them. So, can I get one or what? The earliest you would be able to get one would be in November if you meet us in person. For now, we actually don’t have plans to send it anywhere. This is not set in stone, though, we will look into it! Wait, how much will this thing cost? The price hasn’t been set yet, but be rest assured it will be between $10-$15. We want to use these books as merch instead of T-Shirts! Leave them in the comments, I will happily answer any you have! Throws money at you…I WANT!!! “You’re sitting on a gold mine, Trebek!” I,also, throw money at you. So, you’re saying that you’ll drive down 6 hours in November and get me the book? I kid, I kid. I wish you could sell it and ship it though. Heh, maybe we can figure out a way when we’re at NOWD!